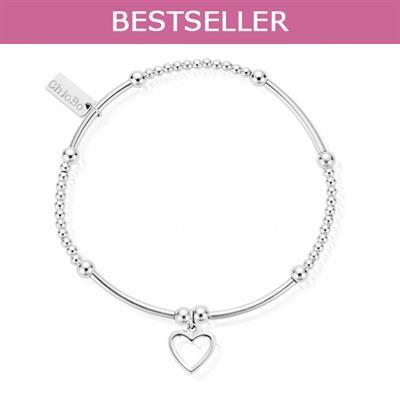 An elegant charm on a stunning Sterling Silver bracelet of noodle and round shaped beads. Chlobo's inspiration comes from the mystical culture of Bali, and these designs are indeed magical! This bracelet is perfect for wearing alone or in a stack with other items from this range. Dimensions: Approx 5.5cm in diameter, elasticised for a versatile fit.